- Custom color lime green vinyl LP. - Full color gate fold jacket with die cut cover, custom lime green metallic foil, and matte varnish. - The imagination of Dredg is completely realized in this full color custom 16 page booklet. The 11.5" x 11.5" uncoated booklet features expanded artwork containing full images that have never been experienced like this before. 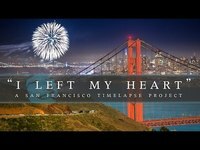 by Permagrin Films: "I Left My Heart" SF Timelapse Project. there is also made a behind the scenes video so be sure to watch that too, the link is in the description of video, same with a free download link for the dredg song. We are very happy to be a part of this amazing film. Sign the petition today and become "An Isolated Ambassador for peace."